Aegean dishes turned into a feast of flavor in 12 different menus prepared by 12 chefs. 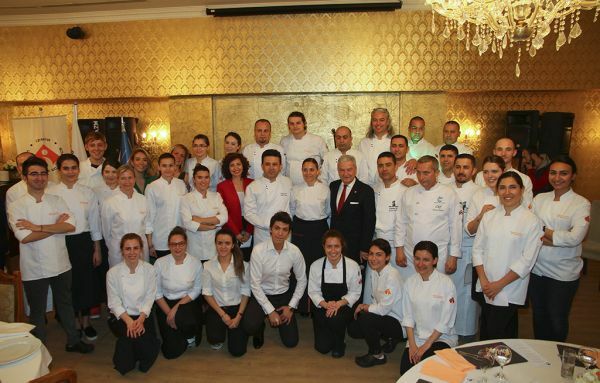 12 chefs, all members of Izmir Chefs Association, prepared regional meals with Aegean herbs with the students of Department of Culinary Arts and Management of Izmir University of Economics as part of the 15th anniversary celebrations of the University. The guests also identified the dishes they would like to see on the menu of Aegean cuisine. Chefs Şamil Akşit from Hilton Izmir, Günay Canbaz from Balçova Termal, Olcay Kaygusuz from Doubletree, Murat Turbil from Chef Restaurant, Murat Yıldız from Mövenpick, Kazım Alkan from Tuval Restaurant, Fatih Taskesen from 100% Restaurant, Yaşar Gürdurdak from Fuar Anemon, Yılmaz Özcan from Cici Meze, Mustafa Buğday from Key Hotel, and Tolgahan Kamiloğlu from IUE Department of culinary Arts and Management added zest to the celebration with their dishes. 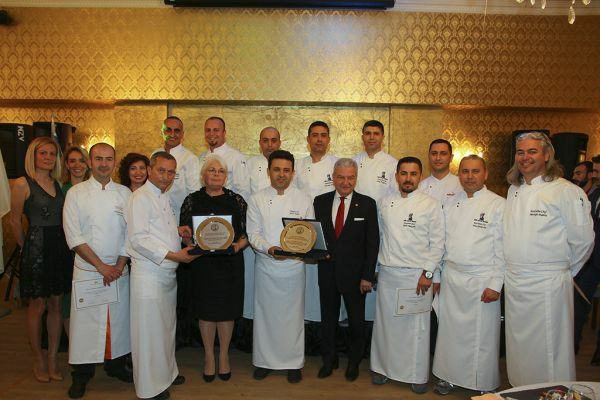 The chefs received their certificates of appreciation at the event hosted by Ekrem Demirtaş, President of IUE Board of Trustees, and Prof. Dr. Can Muğan, Rector of IUE. Şamil Akşit, President of Izmir Chefs Association presented plaques to President Demirtaş and Rector Prof. Dr. Muğan. 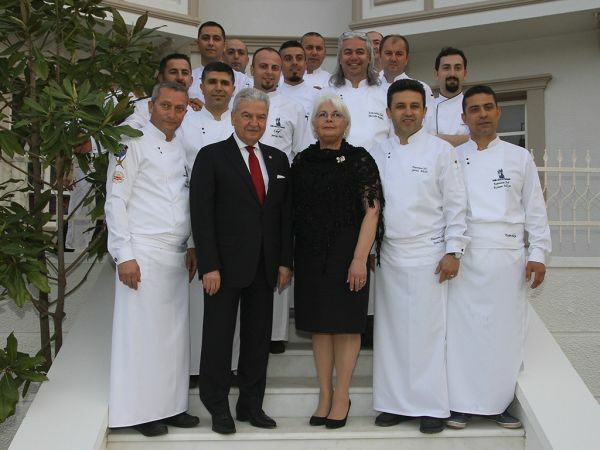 President Demirtaş pointed that especially foreigners and Turkish guests from other regions were very impressed with Aegean dishes cooked with seasonal vegetables and herbs, and some of the Michelin starred chefs, who came to Izmir for training purposes, included these dishes in their menus. The night ended with embellishing tones of Group Turuncu, established by IUE students and Music Consultant Alaskar Abbasov.